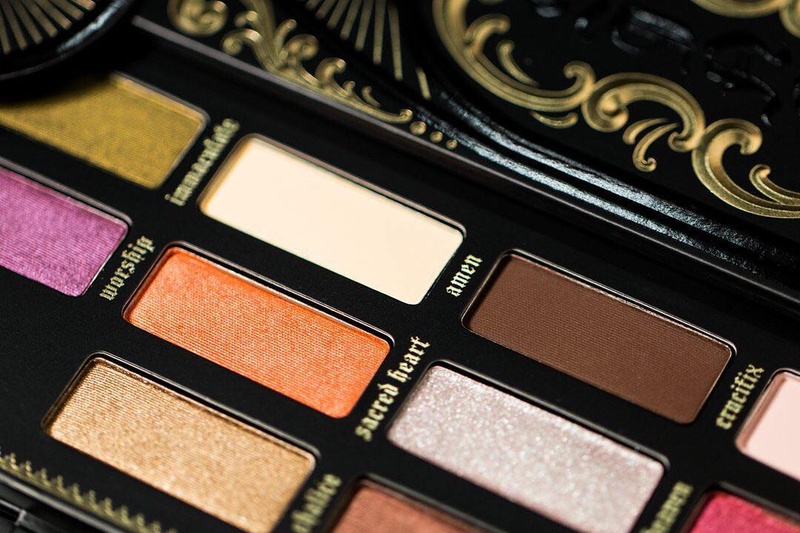 Kat Von D Saint & Sinner Eyeshadow Palette Swatches on Different Skin Tones | Top Beauty Blog in the Philippines covering Makeup Reviews, Swatches, Skincare and More! 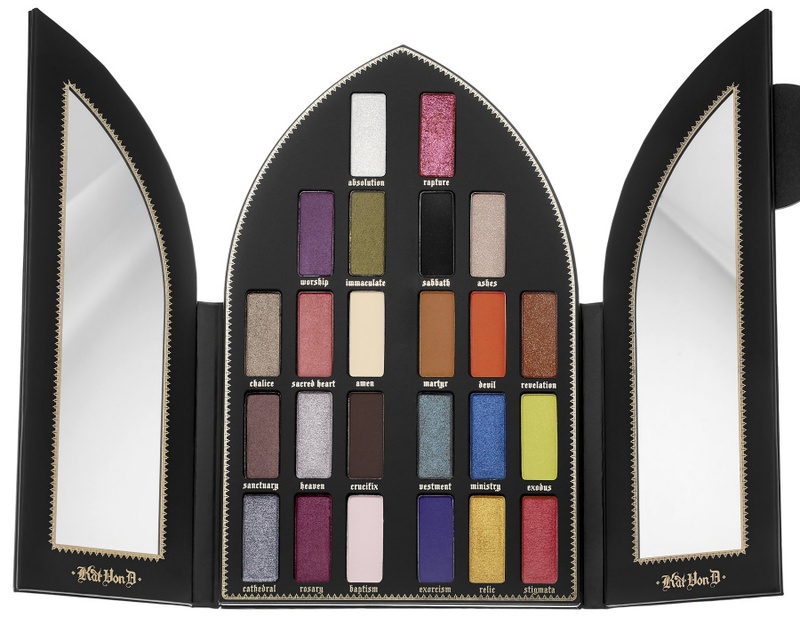 Here are the swatches on different skin tones of the new KAT VON D Saint & Sinner Eyeshadow Palette for Holiday 2017 – an ultra-limited eyeshadow palette with 12 Saint and 12 Sinner shades inspired by the vibrant stained glass windows of gothic cathedrals. 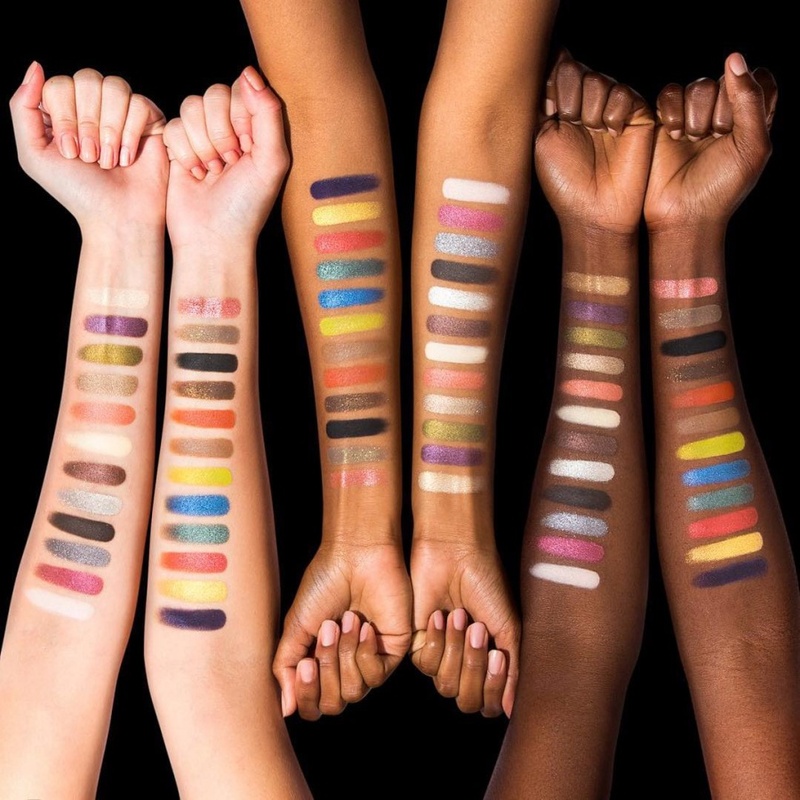 It looks like a great palette. Rapture looks like such a cool colour.